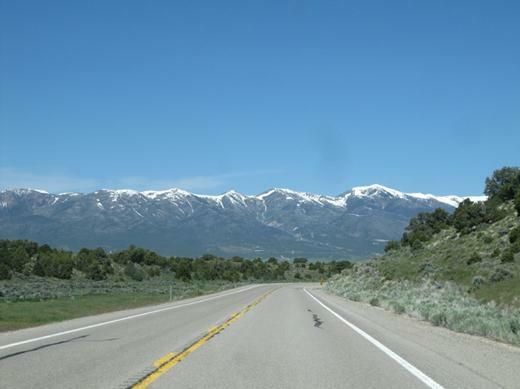 At Great Basin National Park, NV we learned about the “Loneliest Road in America” – on Highway 50. 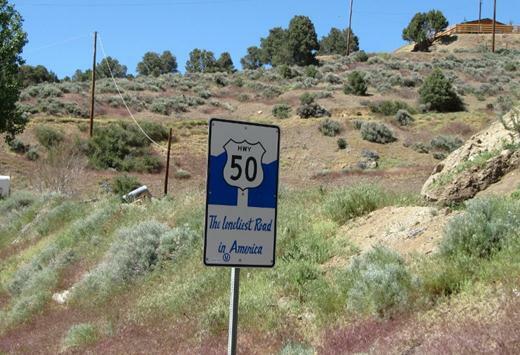 The “Loneliest Road” sounded right up our alley so even though it was a longer and slower route we decided to venture on from Baker, NV (where we stayed to visit Great Basin National Park) to Reno, NV. 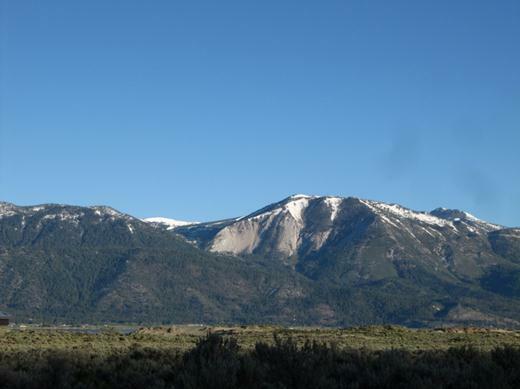 The views of snow-capped mountains were beautiful. All the open space and the lonely highway reminds us of south west Texas. 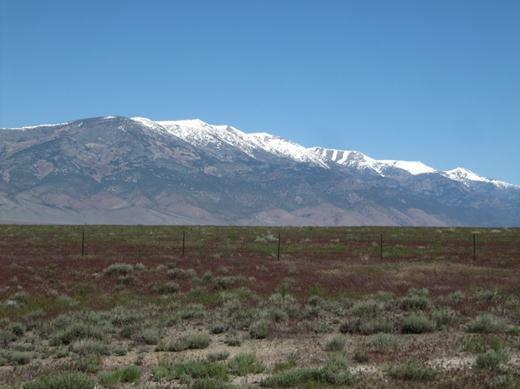 The number of mountains in Nevada really surprised us…we expected a flat desert wasteland. 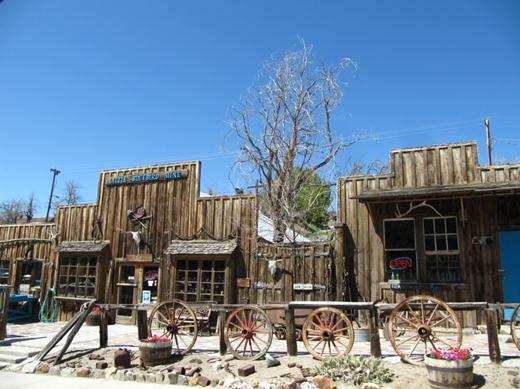 There are several historic mining towns along the route to Reno, NV. 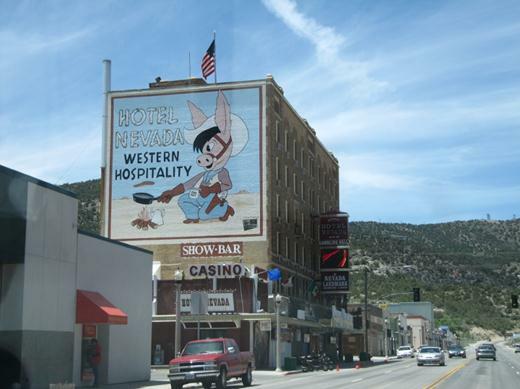 The first is Ely where Hotel Nevada makes its home. These towns were home to thousands of people during the gold rush. Today they are mostly for tourists and gas stops with a hundred or so residents. 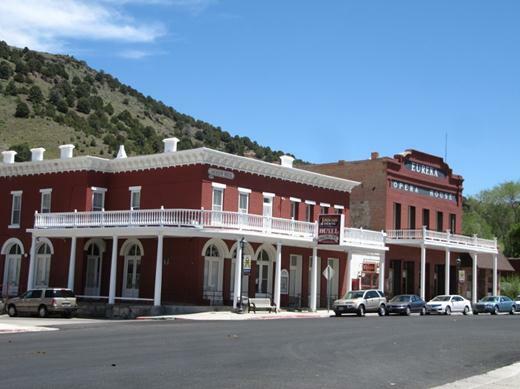 Eureka is next…most of these towns still have some of the historic buildings from the 1800’s. 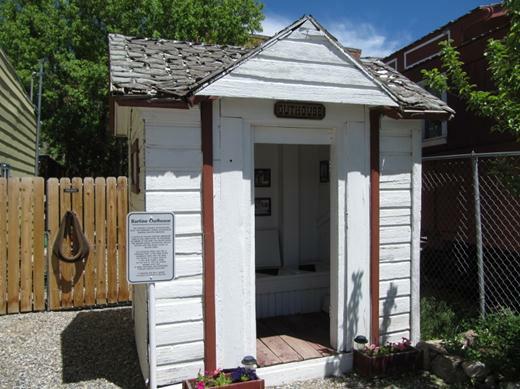 It has the only five-hole outhouse in Nevada. We opted for the more private single-hole toilet in our travel trailer. Wow – could this be any more like Texas? 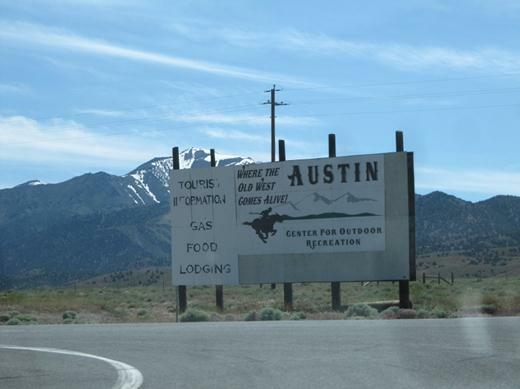 Austin did a great job of mimicking the old west! 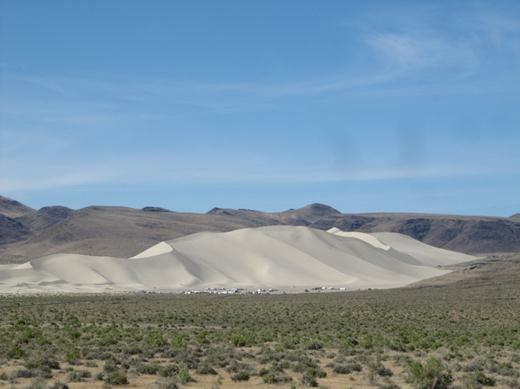 This was cool – a single, lonely sand dune on the loneliest road in America! Those white specks there are RVs and people flock to this giant sand dune for sand surfing. 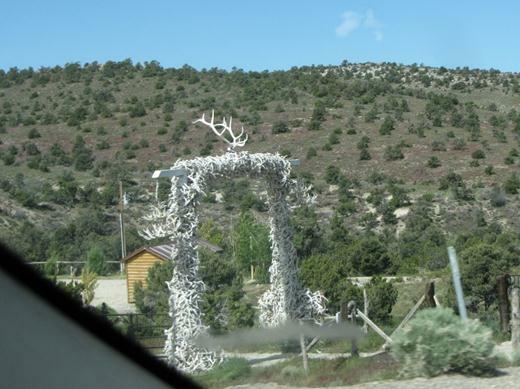 This picture is a little blurry but we just had to share it – a unique looking ranch gate in Nevada. 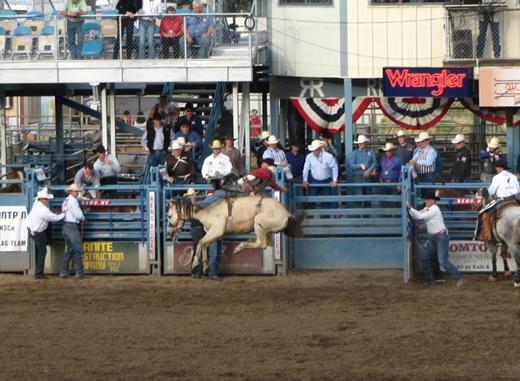 Reminds us of the ranch gates we saw in Texas. At the end of the loneliest road we settled in at Washoe State Park near Carson City, Nevada. A non-electrical site cost $17 per night. The views from our campsite were spectacular! 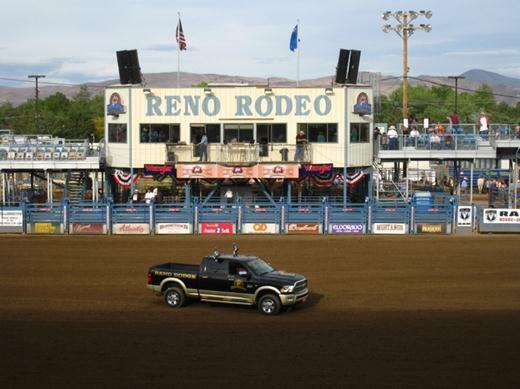 The next day we learned that the Reno Rodeo was underway. 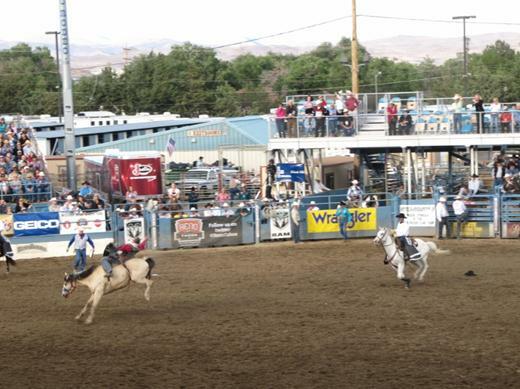 It’s touted as the ‘richest’ rodeo because it gives away more than a million dollars in prize money. 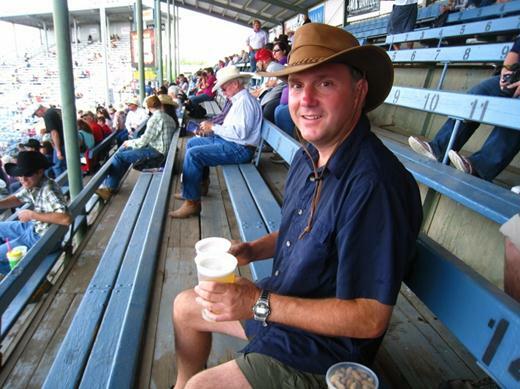 Even Jason looked like a regular Texan, blending in nicely with all the other fellows wearing cowboy hats. 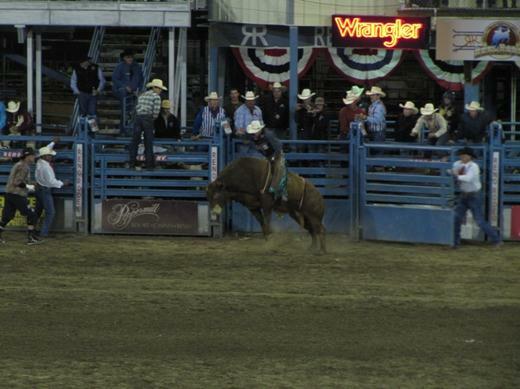 It reminded us of the Corpus Christi, Texas rodeo. 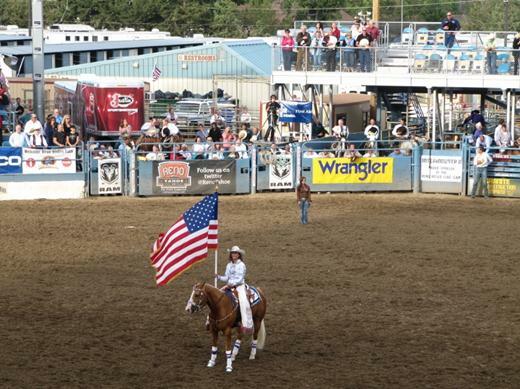 Miss Teen Rodeo holds the flag while the lady standing by the Wrangler sign belts out the national anthem to kick off the evening’s competition. But it was the bulls that really caused a ruckus. 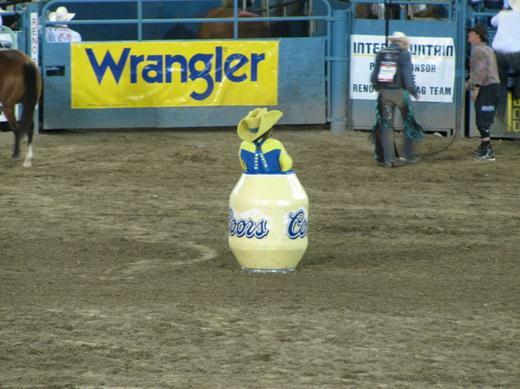 Even the rodeo clown stayed safely in the barrel, just in case…and eventually got rolled around. 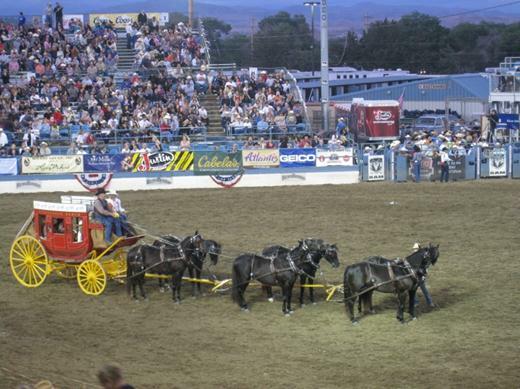 Notice how the folks in the arena are running for cover? 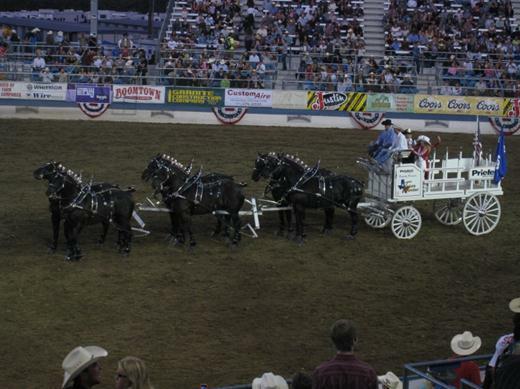 The number of horses on these things is amazing. Thank goodness we don’t have to travel like that anymore! 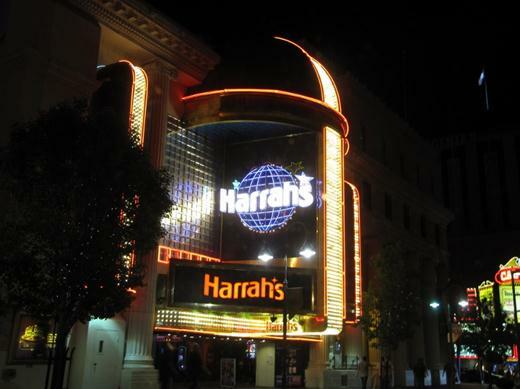 Since we were in Reno, we checked out the casinos. 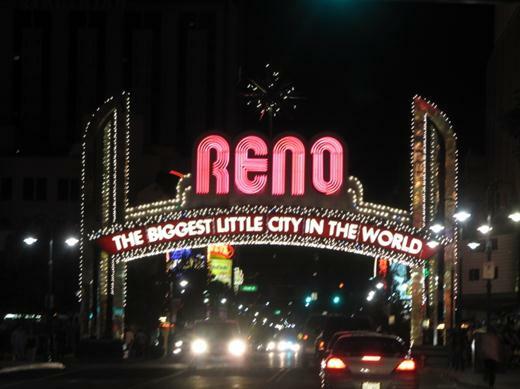 Reno is not as big as Las Vegas, but it puts on quite a show. 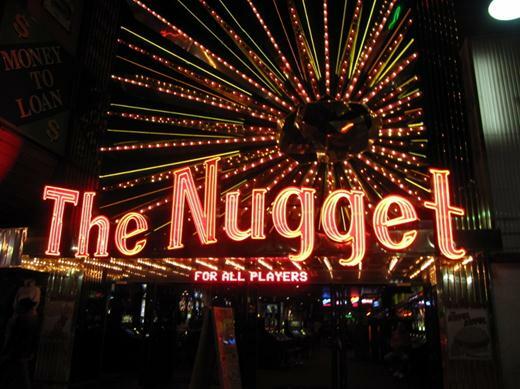 It’s like Vegas in a 70’s time warp! 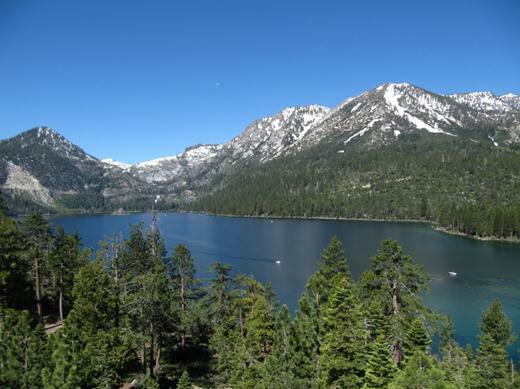 After a few days exploring Reno we decided to hit the road and head to Yosemite via Lake Tahoe since it’s shared between Nevada and California. The water is crystal clear – check out the rocks by the shoreline. 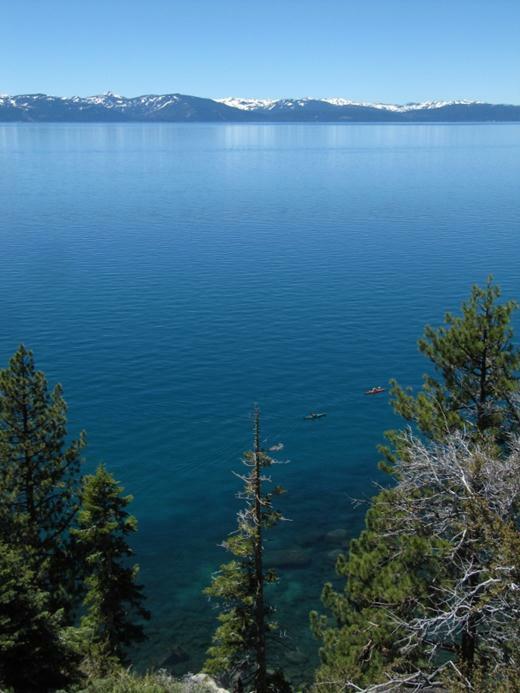 There are parts of the lake where visibility is up to 67 feet below the surface. Not bad! The lake is about 1,600 feet deep. 63 streams flow into it, but only one flows out – and that water never reaches the ocean. 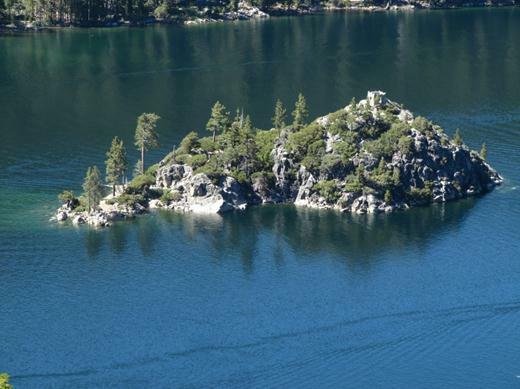 We stayed at Emerald Bay where the lake’s only island is located. 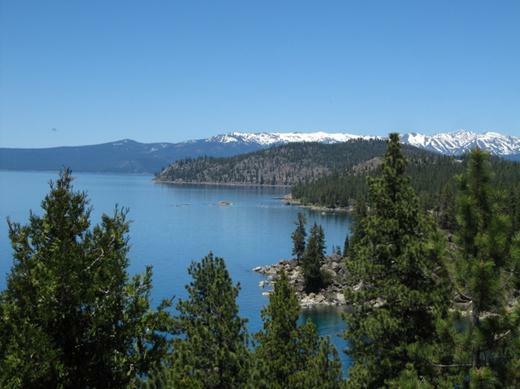 Most of the land in the area is national forest or state park land so it’s beautiful! 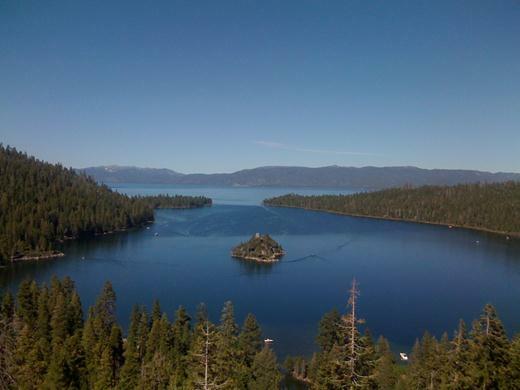 In fact, Emerald Bay is a National Natural Landmark and an Underwater State Park. The island is called Fannette Island. At its peak is a tea house that was designed with Scandinavian Architecture to match Vikingsholm – the mansion on the mainland. 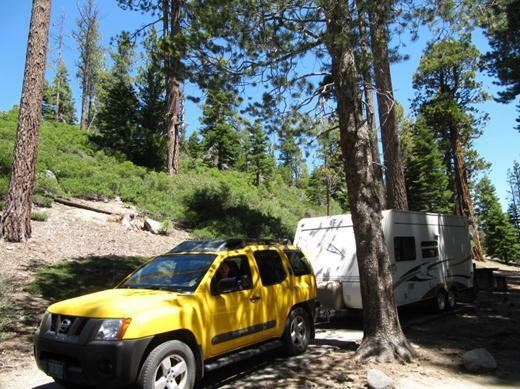 We set up camp at Emerald Bay State Park. Other travellers warned us that things are move expensive in California. We experienced that first hand. While our campsite was nice enough, the price was tough to take – $35 for a basic site – no electricity, no water, and no showers! The views made up for it. 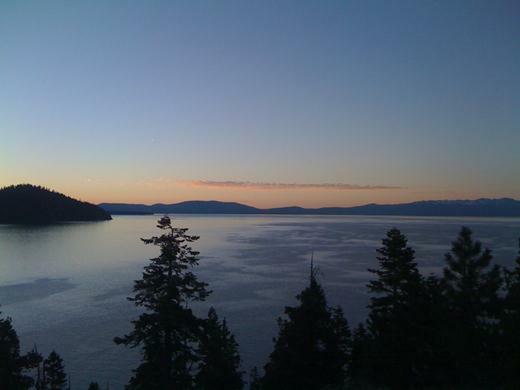 We hiked to Eagle Point for this spectacular sunset view over Lake Tahoe. And we hiked back for breakfast at the same spot, but this time overlooking Emerald Bay directly. 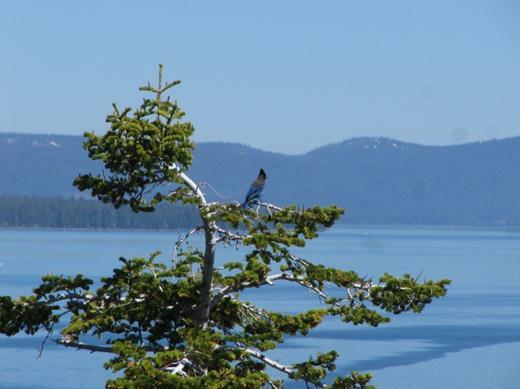 This Stellar’s Jay seemed to enjoy the view too! We also hiked up to Eagle Lake. Yes, that’s snow Jason is hiking across – June 20th and still snow on the ground! 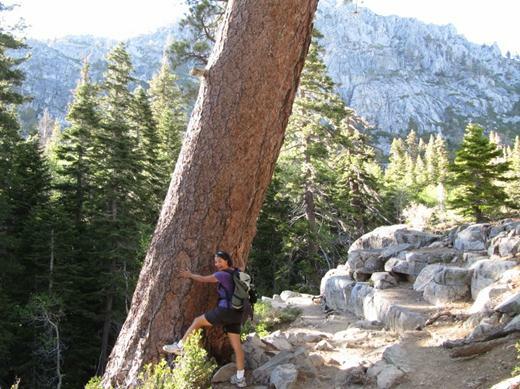 Marianna tries her hand, and leg, at climbing one of the big trees that grow all along the path. 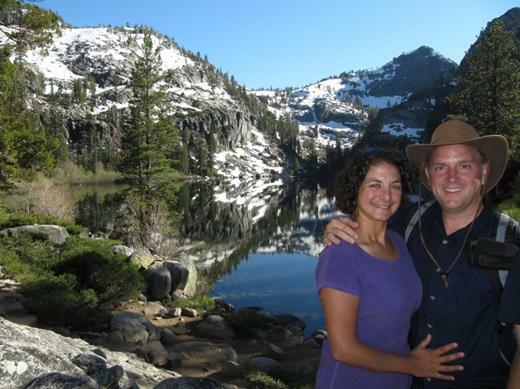 Lake Tahoe was hard to leave, but Yosemite and its legendary beauty was calling to us. 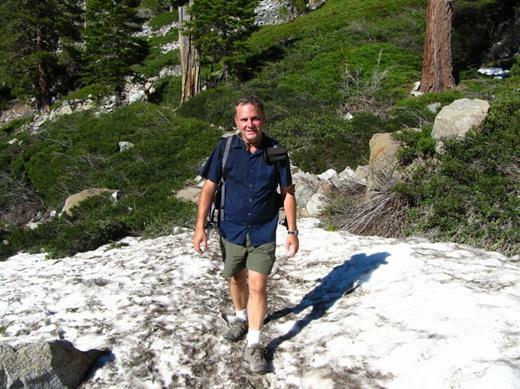 Next up, Yosemite – is it really the most beautiful park as many people say it is? Can Yosemite trump all the beautiful places we’ve already seen?